Dependency-Track is a Software Composition Analysis (SCA) platform that keeps track of all third-party components used in all the applications an organization creates or consumes. It integrates with multiple vulnerability databases including the National Vulnerability Database (NVD), NPM Public Advisories (NPM), Sonatype OSS Index, and VulnDB from Risk Based Security. 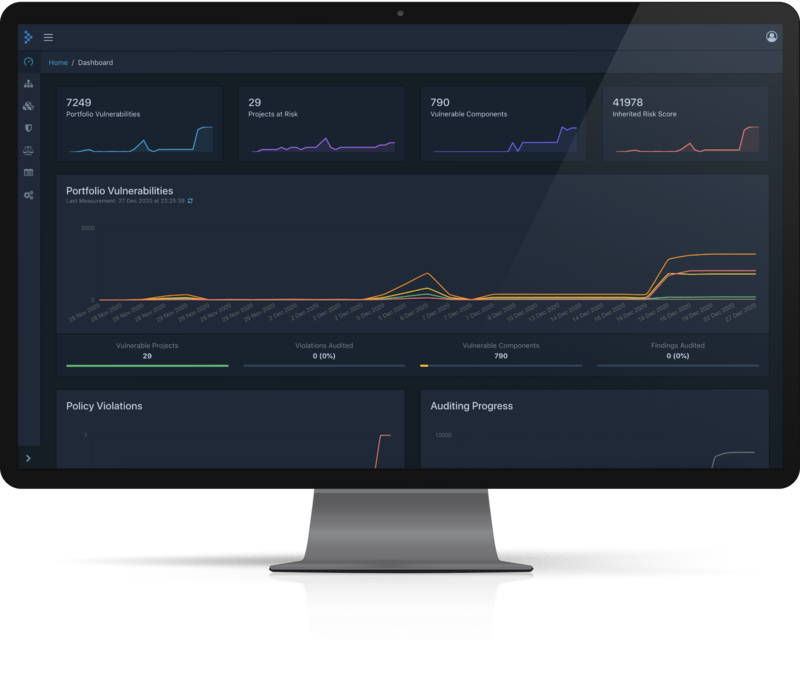 Dependency-Track monitors all applications in its portfolio in order to proactively identify vulnerabilities in components that are placing your applications at risk. Use of Dependency-Track can play a vital role in an overall Cyber Supply Chain Risk Management (C-SCRM) program by fulfilling many of the recommendations laid out by SAFECode.